The North Eastern Indira Gandhi Regional Institute of Health & Medical Sciences offers the B.Sc Nursing Course. The B.Sc. Nursing is a Baccalaureate Degree Programme of four (4) years, leading to the award of a Degree of Bachelor of Science in Nursing. The programme is designed to help the graduates acquire a broad based knowledge and to become highly competent professionals who can function as skilled practitioners in different hospital and community settings. They should be able to manage different types of health programmes and be a team leader of Health Care Workers. North Eastern Indira Gandhi Regional Institute of Health and Medical Sciences (NEIGRIHMS), Shillong is conducting entrance exam for B.Sc admissions 2016-2017.Candidates can check all the details of NEIGRIHMS B.Sc Nursing Entrance Exam 2016 like application form, eligibility, Admit Card, Result, Selection procedure etc from this page given below. North Eastern Indira Gandhi Regional Institute of Health and Medical Sciences (NEIGRIHMS) has issued the B.Sc Nursing Entrance Exam 2016 application forms at www.neigrihms.gov.in. Interested & eligible candidates can apply online for NEIGRIHMS B.Sc. Nursing 2016 entrance exam through the direct link, which is given below. 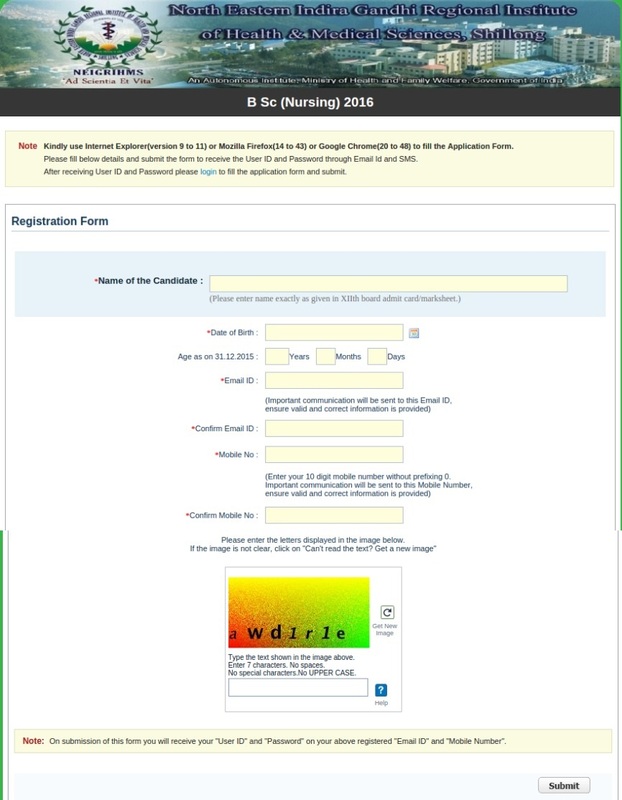 There are 2 (two) options – one for New Registration and the other one is to log in for the candidates who already registered and has “email id” and “password”. Application Process is now over..!! 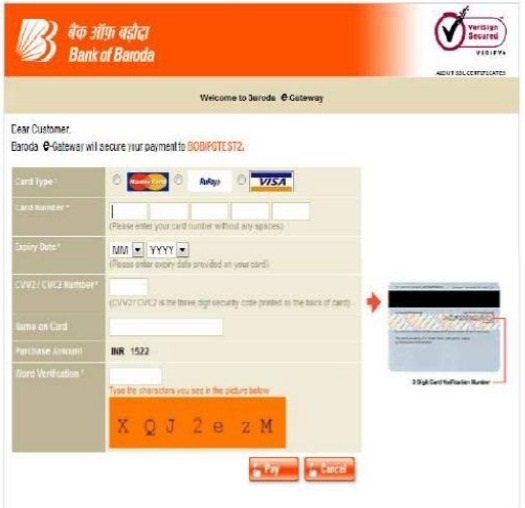 Candidates can deposit the Fees of Rs. 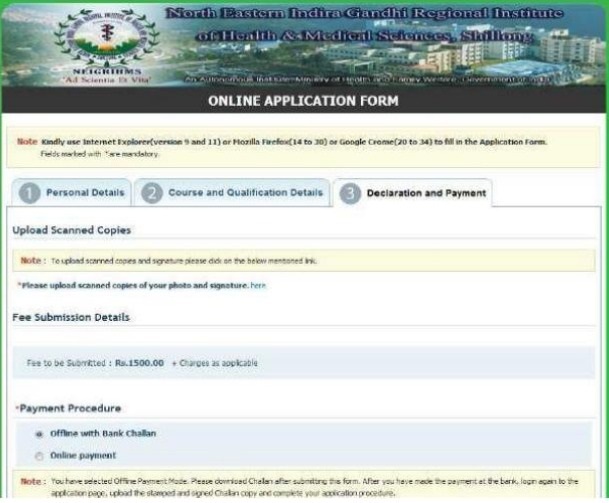 1000/- (Rupees One thousand only) through online mode by using debit card/ credit card through payment gate way to the Institute’s Account “NEIGRIHMS MBBS ACCOUNT” No 30270200000005. Candidates scanned photograph of appropriate size. Scanned copy of proof of payment of fee. Scanned copy of the High School/Secondary School Certificate issued by the Board / University showing the date of birth of the applicant. Scanned copy of the mark sheet of the 10+2 standard examination to ascertain eligibility in qualifying examination. This is not required for the candidates awaiting results of 10+ 2 examination. In case, a candidate is waiting for result of 10+ 2, scanned copy of the Admit Card of the said examination should be uploaded. However, original mark-sheet should be produced at the time of Counseling if qualified. Employed Candidates: In case of employed candidates, he/she must upload his/ her scanned copy of No Objection Certificate from the Employer. Registration and submission of application form will be in the online mode. Candidate will have to register for entrance examination in the online portal available at Institute website www.neigrihm.gov.in. Candidates will get unique credentials such as User ID and password after a successful registration which should be kept safely. Candidates should fill in their proper mobile number and email id. Candidates are advised to write down their user id and password and keep in safe custody. Before applying, one should read the instructions carefully and fill up the online Application Form step by step. You will find 2 (two) options – one for New Registration and the other one is to log in for the candidates who already registered and has “email id” and “password”. Click on “Apply Online Link” to register for NEIGRIHMS B. Sc Nursing Entrance Examination as a new user. Click on “Login Link” for NEIGRIHMS B. Sc Nursing Entrance Examination as an existing user, which is given above. Name as given in XIIth Standard Mark sheet. (In Block Letters Only). Mobile Number: This needs to be correct since important communication will be sent via SMS to candidate. Email ID: This needs to be correct since important communication will be sent via Email to candidate. After the candidate submits the registration details, they will receive their Login ID and Password via SMS and Email. Then they will be asked to logout and re login using the credentials provided. In the Personal Details section candidate has to provide the following details. Father’s Name: To be filled in block Letters with correct spelling. Category: Whether candidate is from General/SC/ST/OBC category. Whether candidate has any physical disability. (Candidate needs to provide suitable disability. document as proof of disability if he/she chooses to declare himself/herself with disability). Candidate needs to upload all suitable documents in the links provided in the application tab. 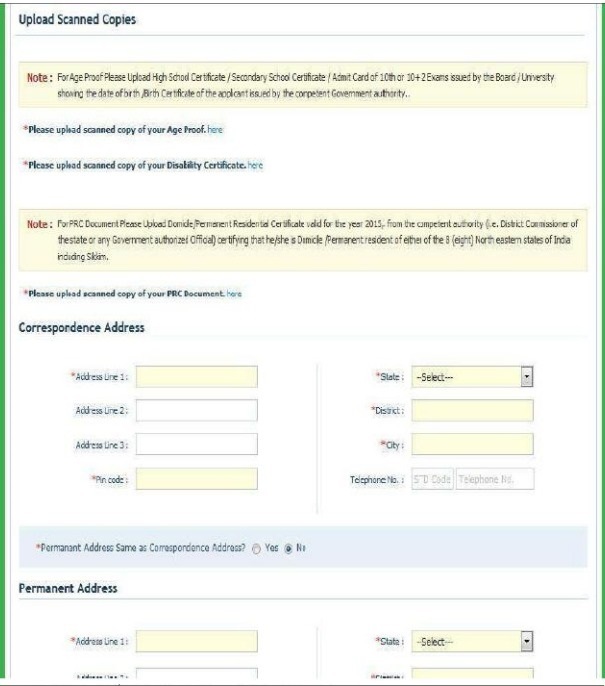 Candidate needs to provide correct Correspondence and Permanent Address with Pin code. Scanned NEIGRIHMS copy of the Bank Callahan. Scanned copy of the mark sheet of the 10+2 standard examination. In case, a candidate is waiting for result of 10+ 2, scanned copy of the Admit Card of the said examination. Employed Candidates: In case of employed candidates, he/she must upload her/his scanned copy of NOC. Candidate has to select whether he/she has Appeared for XIIth Boards in 2015 or has Cleared XIIth Boards earlier. Candidates who have appeared for Boards in 2015 need to provide the Board from which they have appeared and upload Admit Card/Suitable Authorization from School as proof of appearing in 2015 XIIth Board examination. Candidates who have cleared the examination in a previous year need to provide Board details, Marks in Physics, Chemistry, Biology and English and upload Mark sheet and Pass Certificate of XIIth Board Examination. Candidate needs to have above 45% marks in aggregate in all 4 subjects (Physics, Chemistry, Biology and English) to be eligible for the test. Candidate needs to provide complete address of school/college with pin code from which she/he has appeared for Boards. Candidate needs to choose city of preference for appearing for the Online aptitude test. In Online Payment Mode, candidate will have to check I Agree below the declaration given and submit. 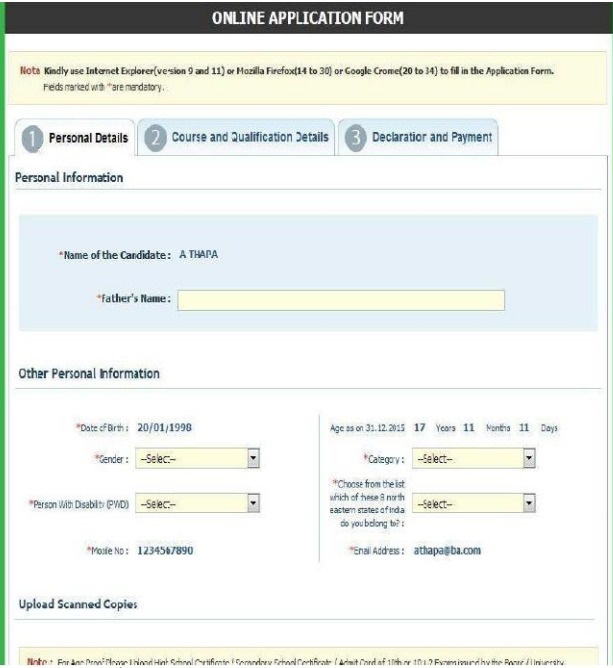 This will redirect the candidate to payment page where they can make payment via Debit/Credit Card. Once the application has been submitted, no editing can be done in the application details. Candidate will be intimated if his/her application has been successfully screened and he/she is deemed to be eligible to write the Aptitude test via SMS and Email. 1. A recent Passport size Coloured Photograph image of the candidate should be uploaded in the space indicated in the online Application Form. 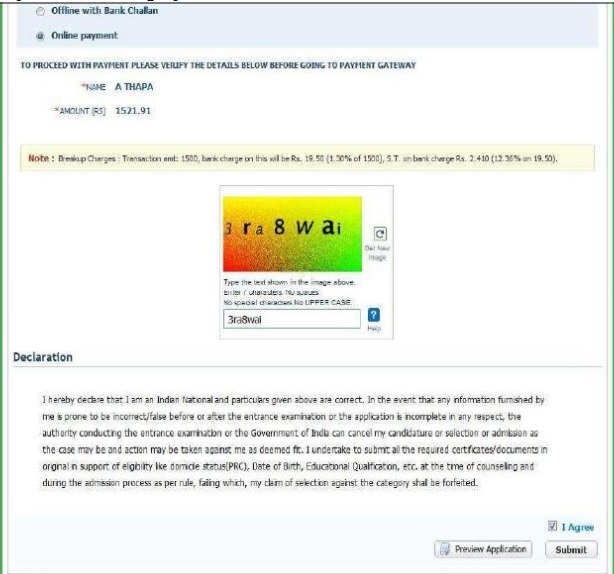 The candidate is also required to upload an image of his/her full signature in the space provided below the photograph. 2. Signature should be on white background. Photo and Full Signature must be in jpg format. Size of Photo should not be more than 80 KB and Size of Full Signature should not be more than 10 to 80 KB. 3. Photographs MUST be snapped on or after 01 January 2016. 4. The photograph must be snapped with a placard and the placard should be held by the candidates indicating name of candidate and date of taking of photograph. In case name and date are written on the photograph after taking it (superimposition) the application form will be rejected. 5. The name and date on the photograph must be clearly visible and legible. 6. Photograph should NOT have cap or goggles. Only Spectacles are allowed. 7. Application not complying with these instructions or with unclear photographs will be rejected. 8. Keep a few identical photographs in reserve for use at the time of Entrance Examination/Admission if required. 9. Example of Photograph – jpg format in white background, size 10 to 80 KB. 2. Should have passed 10+2 Examination with Science (PCB) and English Core / English Elective from recognized board under AISSCE/ CBSE/ ICSE/ SSCE/ HSCE or other equivalent board. 3. Should secure an aggregate of 45% or more marks in Physics, Chemistry, Biology and English. 4. Should have completed the minimum age of 17 years on or before the 31st December, 2015 and not exceeding the maximum age of 25 years as on 31 December 2015. 5. Candidates found guilty of misconduct or convicted for any offence shall not be eligible for admission. 6. Candidates should be medically fit. 7. Candidates should be a citizen of India. Admit Card to the eligible candidates for appearing in the Entrance Examination can be downloaded as per schedule from the Institute’s website. 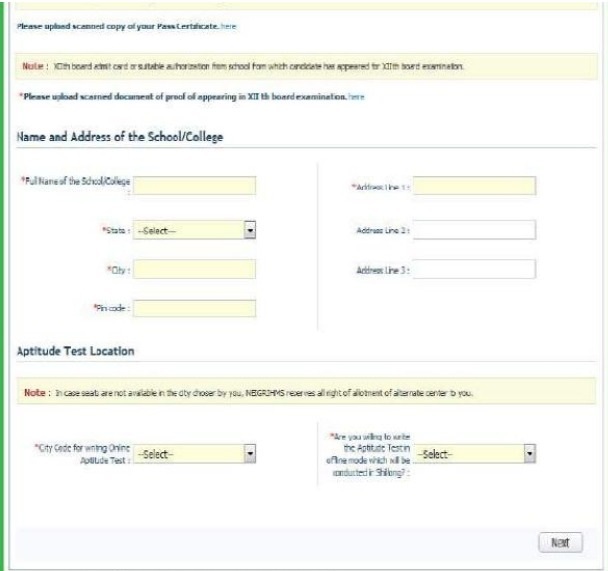 Candidate has to log in to download admit card of NEIGRIHMS 2016 Nursing entrance exam, and for this purpose, one may require password provided at the time of registration. The direct link to download the Admit card has been provided below. Admit Card process is over now…!!! NEIGRIHMS 2016 Nursing entrance examination will be Online Computer Based Distributed Objective Type Examination (CBT). One paper of 2 (two) hours duration consisting of four (4) parts containing objective type (multiple choices) questions with a single responsive answer. The distribution of marks will be as follows. Each answer with correct response shall be awarded “One” mark. “Zero” mark will be awarded for the questions not answered or wrong answer. There is no “Negative Marking”. The general standard of the entrance examination will be that of 12th Standard under the 10+2 scheme or an equivalent examination of an Indian University /Board. No syllabus for examination has been prescribed by the Institute. The online NEIGRIHMS 2016 Nursing entrance exam for admission to the B.Sc Nursing Course will be conducted in following two city centers. Applicant can put option only one centre. The candidate should indicate his/her choice of centre with due care and thought. The centers of Entrance Examination once opted will not be changed and any request for such a change will not be entertained. If seats for Entrance Exam are unavailable in the chosen centre, the other center will be considered for venue of Entrance Examination. The centre as allotted by NEIGRIHMS will be considered as final. Result of NEIGRIHMS 2016 B.Sc Nursing entrance examination which was held on 18 June 2016 has been announced and displayed on the Institute’s Notice board, Director’s Block, and College of Nursing Notice Board, NEIGRIHMS, Mawdiangdiang, Shillong-793018, Meghalaya, and also be made available in the Institute’s website at www.neigrihms.gov.in. The list of candidates who have been provisionally selected for the B.Sc. Nursing Admission is available on the official website of NEIGRIHMS as well as here on this page. Candidates can use the direct link for NEIGRIHMS B.Sc Nursing 2016 Result below. Click here to view the list of selected candidates. The selection of the candidates for the admission to the B.Sc. Nursing course is based on the merit list prepared on the basis of marks obtained in the entrance test. Candidates who are not selected will not be intimated separately and no correspondence on this subject will be entertained. If two or more candidates obtain equal marks in the entrance examination for admission to the B.Sc. Nursing Course, their inter-se-merit for admission to the course shall be determined on the basis of the following. Candidate securing more marks in Biology (aggregate in Zoology and Botany) in Entrance Examination will be preferred. In case of tie in Biology marks, candidate securing more marks in Physics, Chemistry and Biology in aggregate (PCB) in Entrance Examination will be preferred. In the event of tie even after this, candidate senior in age shall rank senior to the candidate who is junior in age. 1. Candidates will be called for counseling for admission in order of merit from the published merit list of the entrance examination. List of candidates called for counseling will be published. 2. At the time of counselling, candidates will have to attend in person and produce the original of the following documents. 3. High School Certificate / Secondary School Certificate / Admit Card of 10th or 10+ 2 Exams issued by the Board / University showing the date of birth / Birth Certificate of the applicant issued by the competent Government authority. 4. Pass Certificate / Provisional Pass Certificate. Character and Conduct Certificate. Mark Sheets: Clearly readable mark sheet of the 10+2 examination showing the marks secured by the applicants. 5. NOC from the employer if Govt servant. Candidates who fail to report for Counselling on 29 June 2016 will not be considered for 2nd counseling. List of candidates called for 1st Counselling can be checked through the link provided below.